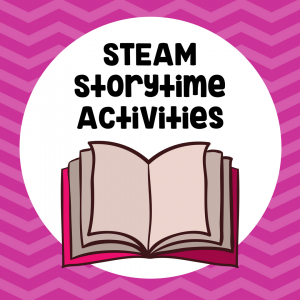 Snow and ice are fun to explore with STEAM. 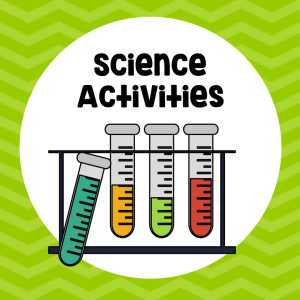 Kids can shovel up some freshly fallen snow to explore and discover with hands-on Science of Snow STEAM. Snow has interesting properties that kids can readily observe. Depending on the temperature, snow can be wet and sticky and hold its shape when packed together, or it can be dry and powdery and easily dusted off hats and mittens. Kids see snowflakes falling, snowdrifts building, and snow piles melting! There’s, even more, to discover about snow by observing melting and color changes with this Science of Snow STEAM. 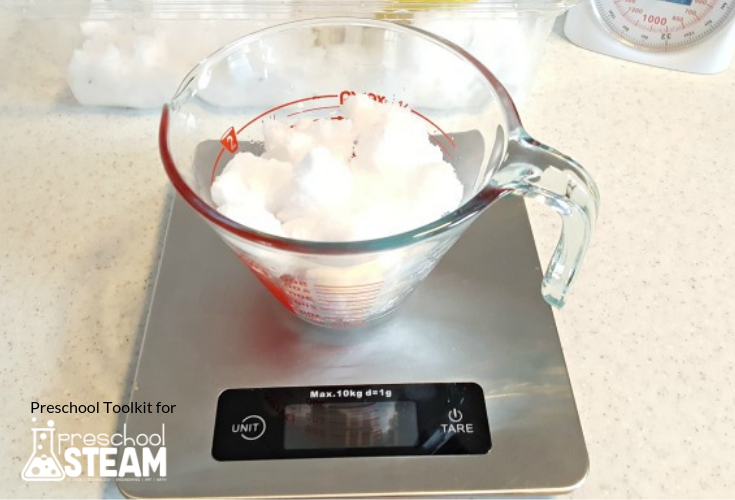 If snow is not available where you live, substitute a batch of ice cubes for the snow used in this winter STEAM activity. Ask: Start by asking questions about snow such as: What does snow look like when it melts? How can we measure snow? Hypothesis: Discuss ideas for how to measure snow: What can we use to weigh and measure the snow? How many shovelfuls of snow we’ll need in our container for our experiment? Experiment: Collect some snow outside in a plastic container. If real snow isn’t available, substitute with ice cubes, so melting can be a part of the observation and discovery. Count the number of shovelfuls of snow you add to the container. Were you close to your original guess? 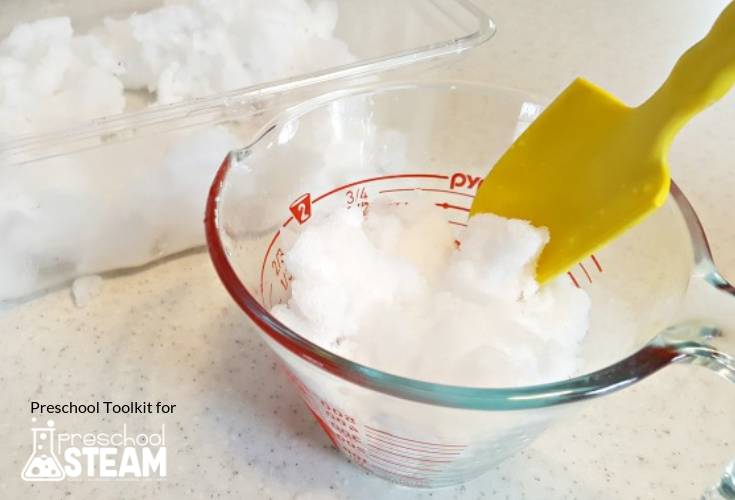 Transfer some snow to a measuring cup. Observe which line on the measuring cup the snow reaches. How many shovelfuls did it take to reach that line? Weigh the snow on a scale. 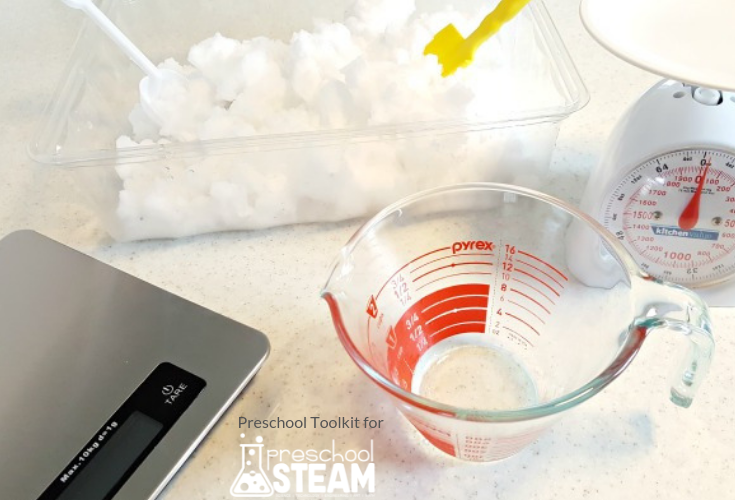 Allow the snow to melt in the measuring cup. 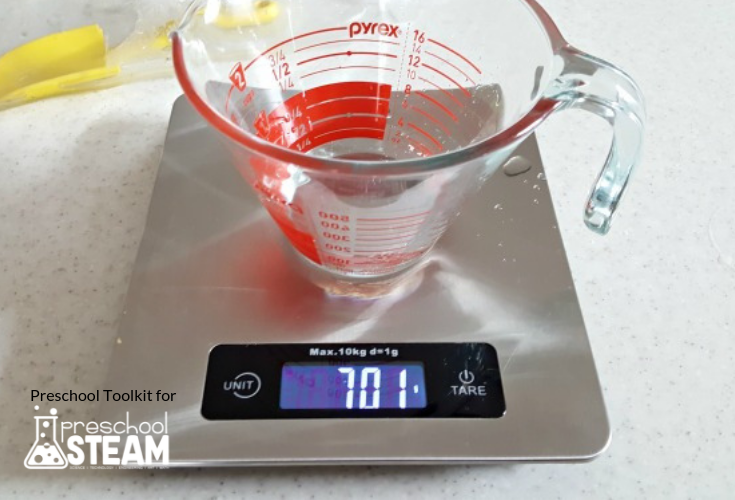 What line does the melted snow reach on the measuring cup? Weigh it again. Compare with the original weight of the snow. Observations: How long did it take for the snow to melt? Why does snow melt? What does snow look like after it melts? Does it still look white? White light is made up of all colors of the rainbow; it contains all wavelengths. The color of an object is determined by the wavelengths it absorbs or reflects. Blue objects absorb all colors of the spectrum except blue, which is reflected back to our eye. Snow is made up of tiny ice crystals. Light bounces off the particles and is eventually reflected back to our eye. All wavelengths are reflected equally so the color appears white. Ice is translucent, meaning light doesn’t pass easily through it, so some reflects back showing white spots in ice. Water is transparent and colorless because all colors are reflected back except for a tiny bit of blue. Heather is a former preschool teacher and founder of preschooltoolkit.com, a website providing early learning resources for teachers and parents. She focuses on creating fun crafts and activities that engage developmental skills while promoting hands-on learning through play. Follow her on Facebook, Pinterest, Twitter, Instagram, Google+ and Linkedin.